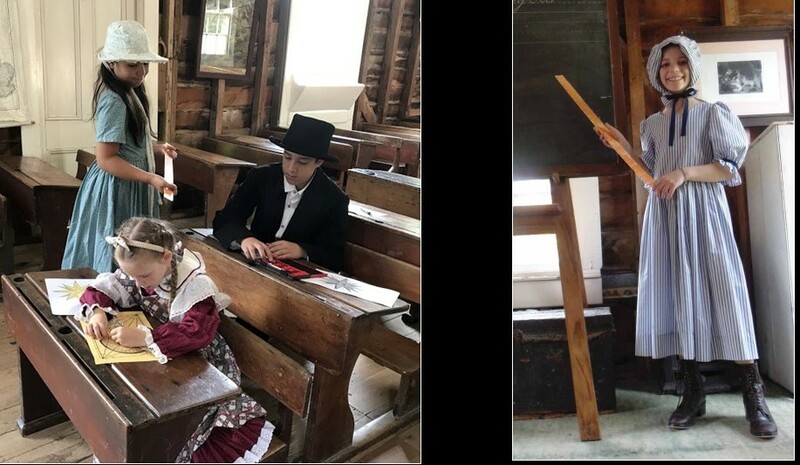 Our story is set in a Moravian schoolroom in Germany in the middle of the nineteenth century. Welcome to Halle Pedagogium, a Moravian school in Germany. The year is 1850. Its early December so its cold outside. Frau Schmidt is teaching the children some maths and science, just like the teachers before her at this school started by a group of keen Christians. 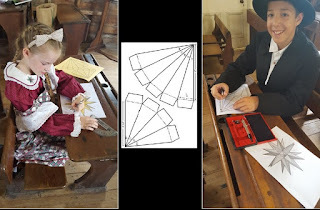 The Moravians thought that it was important to teach boys and girls about the wonderful world God made. The children - three girls and an older boy - have been looking forward to Christmas. They have been setting up the nativity scene and practising carols to sing on Christmas Day. Today Frau Schmidt is showing them a special craft, a school tradition started by her own teacher many years ago. They are going to use their maths skills to make an Advent Star. It will take them a lot of measuring and cutting because there were no photo copiers in that time. Anything they create has to be made by hand. The teacher is showing them how to draw the points of the star with a ruler and pencil and to measure the angles to get them just right. By the end of the week they will each have used their geometry skills to make a large star with many points. She will also ask them why the star is used by their church in Advent, the four weeks before Christmas. The children know the Christmas story very well, so they can tell her the answer. Anna says the star was put in the sky to help the Wise Men find the Baby Jesus. Jana says the star stopped right over the place the baby lay, in a little town called Bethlehem. And Liesl remembers the place in the Bible that tells about the star. When Jesus was born, some wise men from the east came to Jerusalem. They asked, “Where is the baby who was born to be the king of the Jews? We saw his star in the east and have come to worship him… The star that they had seen in the east went before them until it stopped above the place where the child was. When the wise men saw the star, they were filled with joy. They came to the house where the child was and saw him with his mother, Mary, and they bowed down and worshiped him. They opened their gifts and gave him treasures of gold, frankincense, and myrrh. After school the children will walk home in their strong boots that will keep them warm from the cold. They are looking forward to helping the parents finish decorating the Christmas Tree. They will also set up the Nativity Scene and build an Advent candle wreath. The middle of the service contained songs and readings about the traditional ingredients of manger, shepherds and wise men. The star the Magi followed reintroduced the star the “Moravian children” had made. The Moravian star has become one of the most popular Christmas decorations in the world. Thousands of them in many sizes and colours adorn homes and churches during the Advent and Christmas seasons. As they were at the school in Halle, the Moravian stars remind us of the celestial star that led the Wise Men from their home in the distant east to Bethlehem, where they presented gifts to the Christ Child. It also symbolises the light of Jesus himself who promises that anyone who believes in him shall not live in the darkness. 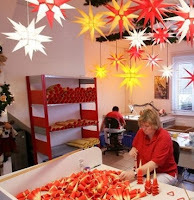 Earlier this year I visited Heernhut, a town in Germany where they sell Moravian Stars. 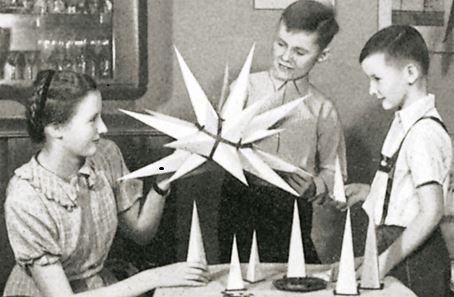 In fact the first Moravian Star factory was started there in 1880 by one of the boys who had made them at school, Peter Verbeek. He found ways for the stars to be made quicker and last longer, and he gave the people in the village jobs making the components. Now you can buy card and plastic ones that are much stronger than the original paper. Tourists buy them as kitsets to finish at home and you can buy LED lights to put in them too. I know one NZ grandma who bought home ten star kits, but I only got one – a tiny 26 point red and white one that hangs by a window in our house. I feel quite proud that I made it myself. I’m told it’s a “rhombicuboctahedron.” But I also ordered one online that was much easier to put together, because its already glued and it has clips. We used that for the photos. In the Star Shop we learned more of the story. The Christians who started those schools in Germany had originally come from Czechoslovakia as refugees. German Christians in Saxony welcomed them and gave them land and houses. These believers were very keen to share the good news of Jesus with others, even in distant parts of the world. The Moravian church started sending out missionaries long before Baptists or Presbyterians did, and because of those missionaries. 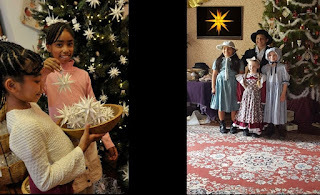 the Moravian Star can now be seen decorating schools and churches in many places around the world – Jamaica, Africa, Canada, India and Scandinavia. But sadly not everyone knows what they mean. Lord Jesus you are the light of the world. Lord Jesus, you are the light of the world. Shine in the dark places where people are ill or sad. Lord Jesus we are your lights in the world. Help us to show people your Light by loving them. Each child was given a home-made origami star to take home. While not a Moravian star, which is tricky to make in bulk, it does show how angles and measurements are needed for construction, just as in the Moravian classroom. The instructions can be found on Youtube. 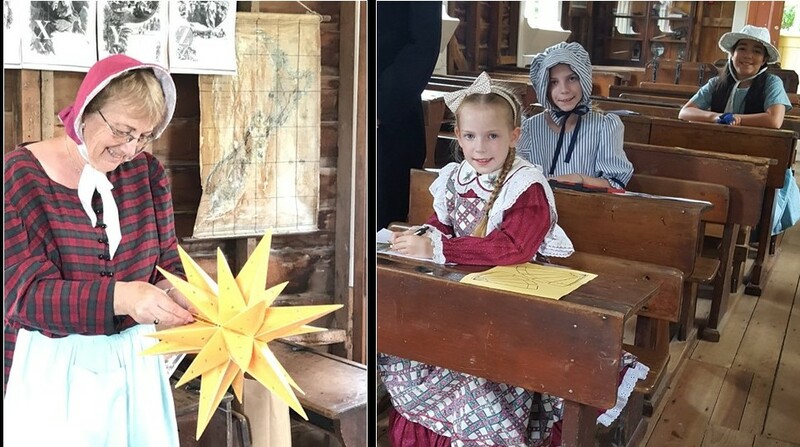 I am grateful to the staff and volunteers at Howick Historical Village for their help in making this presentation. Life hacks are very popular on Youtube - and occasionally I learn something from them, usually about white vinegar! But this one I got from just noticing a new option on my Microsoft Office menus on computer. A great find. This was a feature of Microsoft Office that I hadn’t used before. Read Aloud is offered in the Review tab of Word and in several other applications including Outlook email. I guess it’s an advance on the accessibility options that enable those with sight or reading difficulties to share a document. However I am finding it a great help in the editing/review stage of sermon writing. Although the voice is computer-generated, on my machine it does not sound at all robotic, and in fact even puts expression and pauses where I would use them.